Mim Michelove is so down to earth, it’s easy to forget that you’re talking to someone who is literally changing the world. 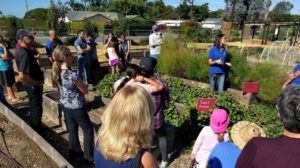 Mim is the visionary behind Farm Lab, an innovative outdoor learning campus for students in the Encinitas, CA school district. The path that got her to this point, however, has had some twists and turns. Her multifaceted background includes time as a celebrity photographer, professional welder, and a Mom. As a professional welder, Mim became accustomed to thinking about things from an engineering and structural perspective. That’s come in handy as she meets with architects and engineers to create garden structures and school buildings at Farm Lab. On a more elemental level, that experience aided in her plans for the structure of the organization itself. As a mother, Mim’s passion for the environment coincided with her passion for healthy food and making sure that children all have equal opportunities to be healthy. She started working in school gardens, and found that they’re a great opportunity for learning on a number of different levels. They meet the needs of different learning styles, different paces, allow students to get out of the classroom to learn, and help them to feel valued. 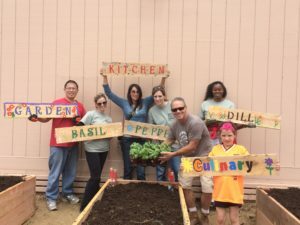 While working with school gardens, Mim also discovered that she was good at communicating the beneficial relationship between outdoor programming, healthy food, and academic success in order to help schools get grants! “When I started at Farm Lab,” she explains “I began to realize how all my skills and experiences had come together to make the community better and stronger.” At the outset of Mim’s Farm Lab journey, the school district hired her as an environmental consultant. By bringing great ideas to the table, Mim was able to garner support for more initiatives, and began to spearhead new projects. The green initiatives actually ended up saving the district over $800,000 per year in their general budget. Farm Lab is active and beautiful, not to mention highly successful and efficient. The systems Mim put in place ensure that organic food grown at the farm ends up in school lunch every day, either on the daily salad bar at all district schools, or incorporated into menu items like the pizza and marinara sauce. 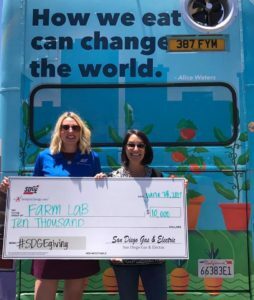 “Farm Lab is a jewel in the crown of the whole San Diego area, maybe even the whole county,” Mim relates, “The next step is to expand it!” Plans are in the works for the program to expand regionally, then statewide, and eventually nationally. 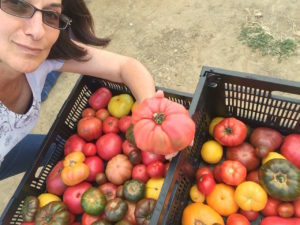 Mim not only brought Farm Lab to fruition, she also co-founded a non-profit, Healthy Day Partners, and has started a number of school gardens and farms through that endeavor. Mim’s work with Farm Lab has been an overwhelming success, but it hasn’t come without challenges. From a program standpoint, sustainability is the biggest consistent challenge. She also recognizes that change is difficult. “I like change,” she says, “and I want to help people set higher standards, and help them through the change.” Her innovative approach has also been both a gift and a challenge. Everyone wants children to have the best opportunities, but navigating through an established bureaucracy can be tough when you’re creating your own roadmap as you go. 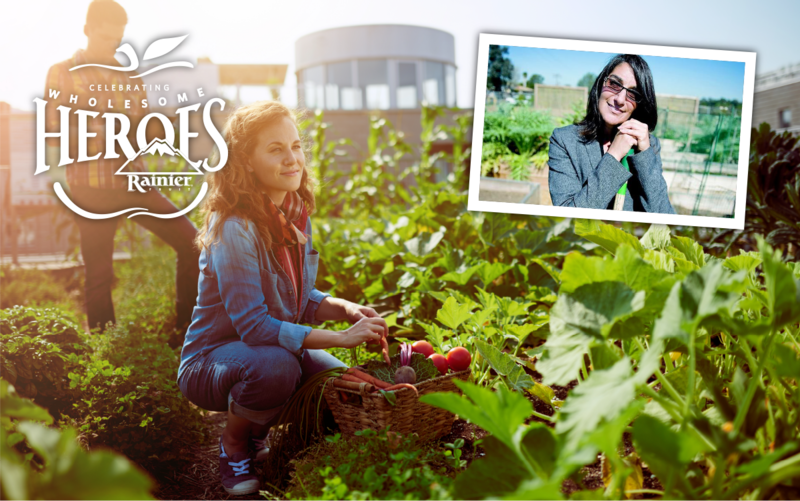 Mim has been a trailblazer and a visionary, bringing healthy opportunities and a healthy connection with food and the environment to students in her school district and beyond. We can’t wait to see what she does next through Healthy Day Partners. To keep up with the journey, follow Healthy Day Partners on social media! Rainier Fruit, and our partners at the Whole Kids Foundation, are truly honored to call Mim Michelove a Wholesome Hero.